Here we go again! The morning starts off with most areas showing temperatures in the mid 70s to lower 80s. 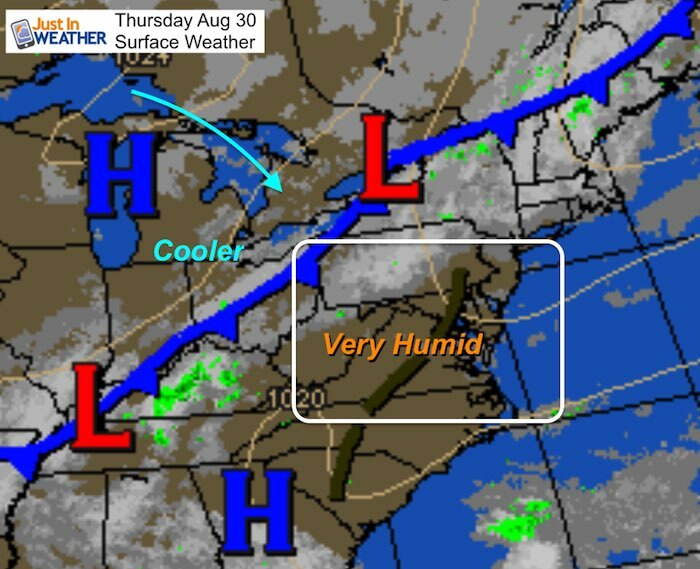 Today marks the date of the coolest August temperature in Baltimore back in 1986 (45ºF). This afternoon will NOT be as hot, but it will remain very humid. The good news is that the cold front that will end this heat wave is closer. That will trigger storms this afternoon with a focus on the Virginia mountains. We could wake up to showers Friday and then be in and out of it into the Labor Day Weekend. That may make for a tough call for your plans, but the silver lining may show Monday as the best day this weekend. 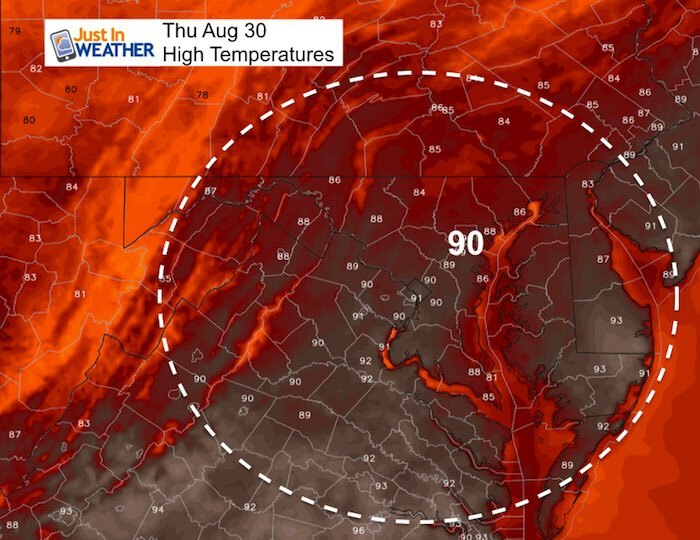 Two distinct late August Heat Waves in Baltimore that stand out from 1948 and 1953. August 30 1986 was the coolest temperature recorded for the month. Very warm and muggy again. Many areas near 80ºF before sunrise! That cold front will mark the change to cooler weather this weekend, but also storms. It is not very active this morning yet will be the trigger for afternoon and evening thunderstorms. We may wake up to showers Friday morning, then mostly afternoon storms erupting over the weekend. There may be a lull on Monday as the front stalls and weakens.